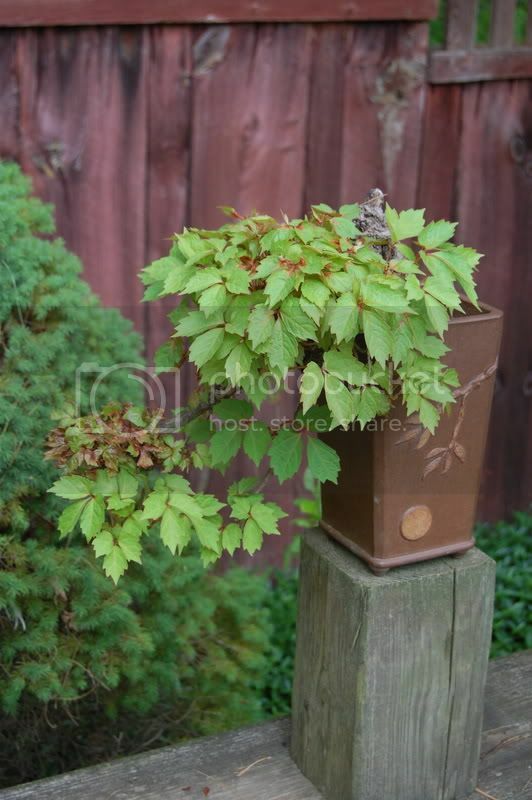 I just thought it'd be fun to start a thread about commonly found house plants that could make bonsai. i admit they still have to grow out, but i never thought 'bonsai' when i bought the one or grew the other. Now I was wondering what you guys might have in your collections, that you didn't expect to be a bonsai when you were first growing it? Since you are considering herbs, how about Rosemary. I have several in pots, nothing terribly impressive but one does show some potential. 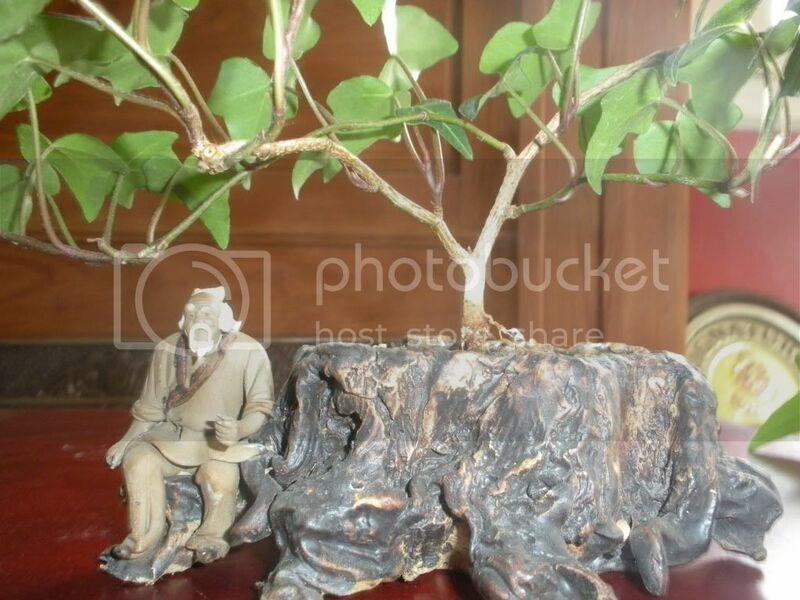 The thing is that many beginners get anxious and put (or buy) a small, undeveloped plant in a bonsai pot and begin to think of it as bonsai. 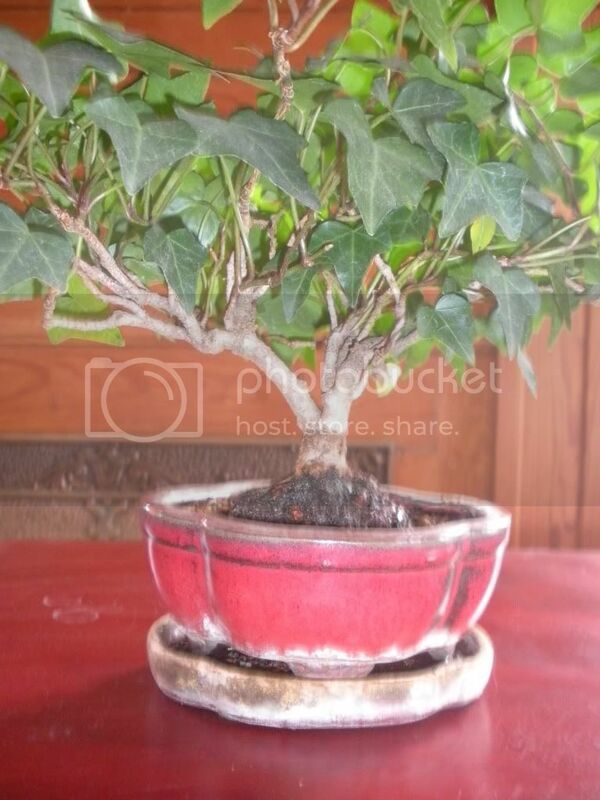 Technically they are correct as the word bonsai translates to something along the lines of potted planting. But today we usually think of bonsai as a plant with at least a somewhat developed trunk, not simply a cutting, or other young material, in a fancy pot. The key for you will be to grow your material out for a few years in generously (but not excessively) sized pots, or even the ground if possible. That is not as unlikely as you might imagine. Again, the trick is going to be finding a trunk that already has some interest. Perhaps an old landscape specimen that has outgrown it location? Here is a link that shows some of the more unlikely species, including Rose, Pepper and Poison Ivy. I've started one from a Mountain Olive (aka Russian Olive). It's a highly invasive pest that grows all over the place here in Connecticut. It was planted by the state before they realized what a problem it would become. We can't get rid of the stuff. This was a stump I'd cut down the year before and it grew right back. 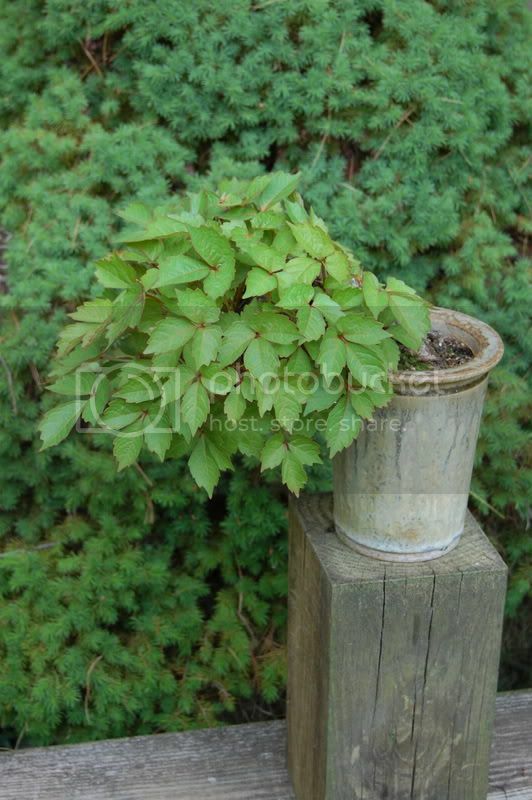 This picture is from when I first dug it up and stuck it in a pot, 7/24/10. The pot is large because I dug up as much root as I could. I plan to trim the roots back next Spring and put it in a smaller pot. It has grown out quite a bit since I potted it. Right now, it's out on my bench, under cover, but frozen solid. I've started one from a Mountain Olive (aka Russian Olive). It's a highly invasive pest that grows all over the place here in Connecticut. It was planted by the state before they realized what a problem it would become. Marsman wrote: Great idea for a thread! I've found that "weed" trees can be excellent practice material. They grow fast and are resilient. Plus usually nobody minds if you dig up a bigger one because there are usually too many to begin with. As long as they have small(ish) or reduceable leaves and have a woody trunk they will work. an alternate leaf pattern is a bonus. This is a list of plants that I have tried to bonsai with moderate success that do well in the average indoor setting. I'll try to get a picture of a few of the better looking ones. Well, better looking one. Unfortunately, my greenhouse blew over recently, and as a result most plants either suffered damage or lost a few leaves due to shock. 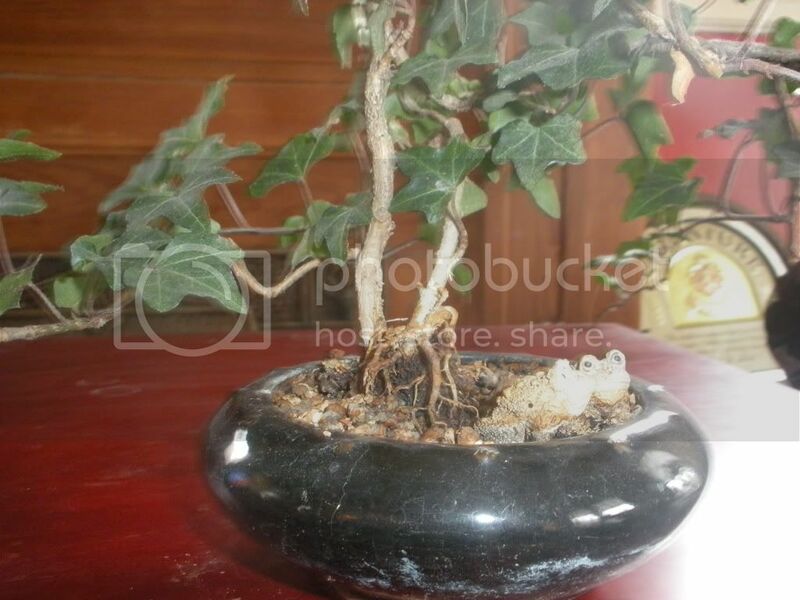 This is the poinsettia bonsai, after shedding most of the leaves it had. Note that even though I've kept it in shade, the leaves reduce rather well. The image quality isn't the greatest either, as I used my cell phone. I am still in the process of training and wiring it. When I'm done, I hope to get a nice broom canopy. I had another one I was training as an informal upright, but unfortunately it parished in the storm that destroyed my greenhouse. Hello everyone... Longtime lurker first time poster. I've been working with English ivy for the past several years. I know its not unheard of but I don't think its real common. They are very versatile and hardy plants to work with. The first one is a little over 3/4 of an inch thick. I've thought about ivy, but thought it might take 'forever' for them to thicken up - how old is that first one? The first one was pretty thick when I got it... I would estimate 25-30 years old. The second one I started from a clipping off the first 2 years ago. The third I collected from the side of a house 4 years ago. You can find fairly thick material growing wild. I will be hunting for more this spring. These are two Boston Ivy that are in Nick Lenz's garden. He's also worked on Poison Ivy, but he didn't have any when I was there. There are some very thick creeping vine around here that I may try to dig up. No idea if it would work but I've been considering trying a kudzu. Just for fun.